Reviewed by Ali Baker as part of our 2018 Round-Up. I have admired Aliette de Bodard’s writing since I was given a copy of Servant of the Underworld close to nine years ago. That novel and its sequels are fantasy mysteries featuring Aztec high priest of the dead Acatl, as he solves crimes that affect the balance between the mortal realm and the supernatural realm. De Bodard’s Dominion of the Fallen series is urban Gothic fantasy set in Paris after a magical war. Both of these series feature both full-length novels and shorter works. Her Xuya fiction, however, is all shorter works, including The Tea Master and the Detective, a stand-alone novella set in a far future world (Xuya) where China and Vietnam are global powers. This novella is an ideal starting point for new readers, as it does not need a great deal of knowledge about the Xuya universe. It is another mystery story, inspired by Sherlock Holmes, where Holmes is the scholar and scientist Long Chau, and Watson is the sentient mindship The Shadow’s Child. Like Watson, The Shadow’s Child is a military veteran, surviving the aftermath of a harrowing conflict. She barely makes a living blending brews to help people cope with the pain of existing in deep space. Into her shop comes Long Chau with a proposition: she needs to collect a corpse floating in space, for research purposes. Reluctantly The Shadow’s Child agrees to help Long Chau — after all, the rent is due — and the two travel to deep space, both facing their traumatic pasts. De Bodard’s worldbuilding is beautifully rendered, from the ingredients of the brews that The Shadow’s Child creates to the technology of the Xuya universe. 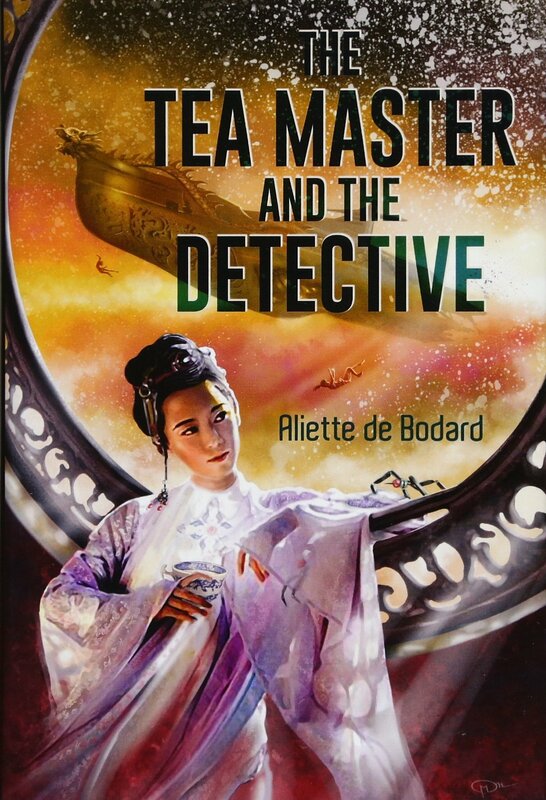 This novella is a wonderful jumping off point for readers new to De Bodard’s science fiction, who have some treasures ahead.